I’m a little late in writing about this years Alchemy festival @ Southbank. There’s only a few days left but there’s plenty of events left to go to… Get blown away by the mighty Bishi, or get your groove on to The Friday Night DJ Mix presented by BBC Asian Network, sing along to Bollytastic Shreya Ghosal or wander through the exhibitions and tuck into the best of Indian street food at the accompanying food festival. Basically there’s something to do for whatever your age or tastes! Bishi’ Never Seen Your Face. 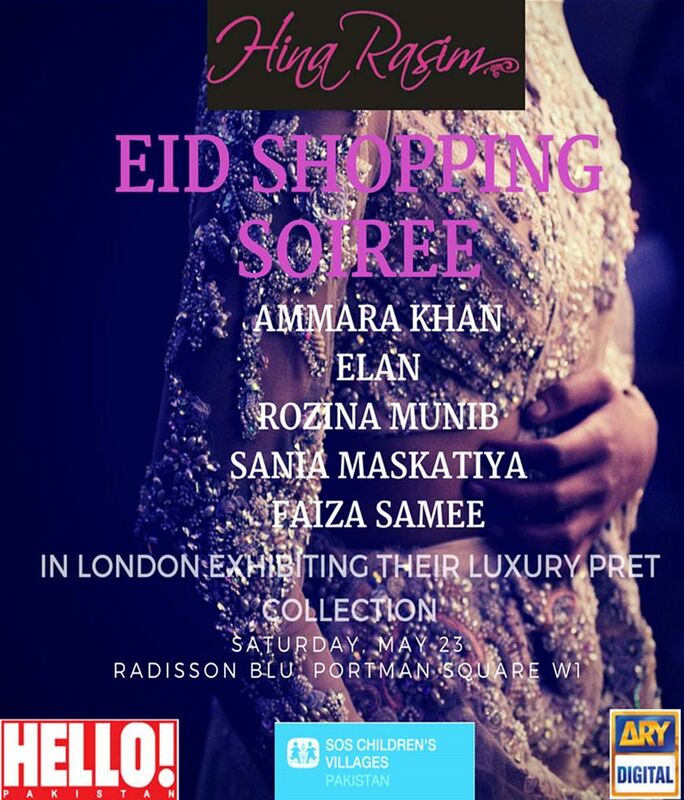 I’ve also had a lot of press releases pop into my inbox this week and here’s a few that I thought were worth sharing..
Hina Rasim presents Eid Shopping Soiree Sat 23rd May London. Fashionista, Hina Rasim is known for bringing over the hottest Pakistani labels over to London for exclusive trunk shows. She’s back again this time with a selection of pieces by Ammara Khan, Elan, Rozina Munib, Sania Maskatiya and Faiza Samee. 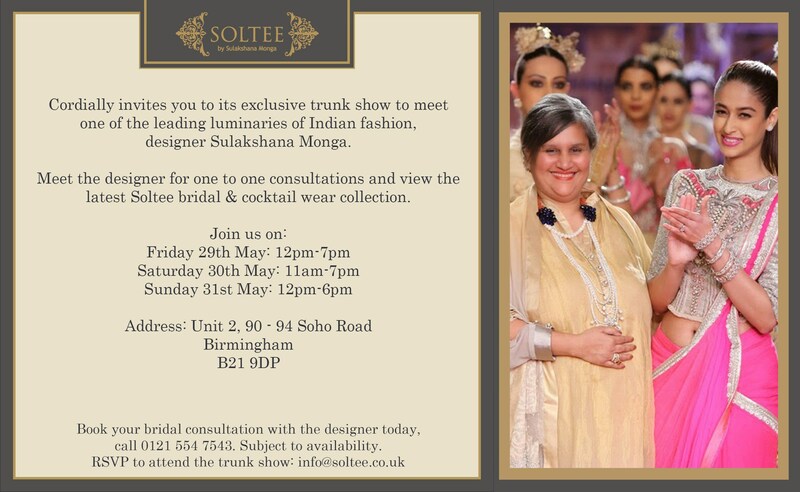 Sulakshana Monga will be presenting her label Soltee by Sulakshana Monga at a trunk show in Birmingham on 29th-31st May. She will be bringing her latest collection as shown at the recent Amazon Indian Fashion Week and will be available for one to one bridal consultations too. 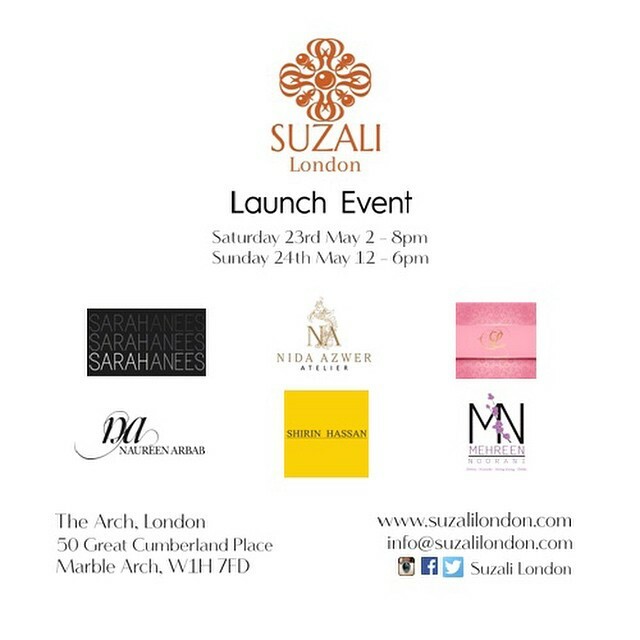 Blogger Vic from London Ki Ladki emailed me through details of Suzali launch this weekend. Designers that will be showcased at the event include Nida Azwer, Shirin Hassan, Naureen Arbab, Lalarukh, Sarah Anees and Mehreen Nooran. Have a great Bank Holiday Weekend and I’ll be back soon with some posts of what I’ve been up to the last couple of months…including highlights from my sister’s hen party in Portugal…the highs- The Ah-mazing EMO Tivoli Victoria which was a gastronomic delight to the lows- a really disappointing experience with Pink Monkey Stag & Hen that we booked an activity with.